I love all things mini, so of course I can't resist these delicious mini stuffed peppers with sweet/spicy pineapple salsa & smoky chipotle beans. So cute! Consequently, when I saw these multicolored Organic Mini Peppers at ALDI, I immediately knew that I’d skewer and grill them! I always love making stuffed red bell peppers in the summertime, but how cute are these mini stuffed peppers?? I already have an affinity for miniature things, so these little guys were fun to cook and, of course, even more fun to eat. Before tossing these little guys into the fire, I recommend making the tasty fresh pineapple salsa. In summer, I love to use fresh fruits to balance out my meals with a little sweetness. I was blown away by the options ALDI offered, but this pineapple was the perfect choice for a sweet & spicy salsa. It also makes extra, because having fresh salsa in the fridge is what summer is all about (right?). 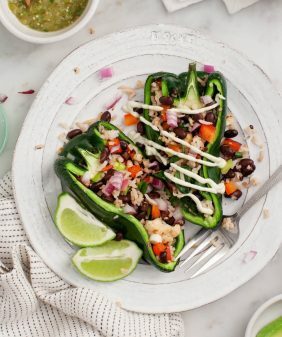 The peppers are grilled, stuffed with cilantro-lime rice, and served with chipotle pinto beans on the side. The beans, by the way, couldn’t be simpler – just mix pinto beans with smoky chopped chipotle peppers. I highly recommend that you serve these components together as a complete meal because they complement each other perfectly. 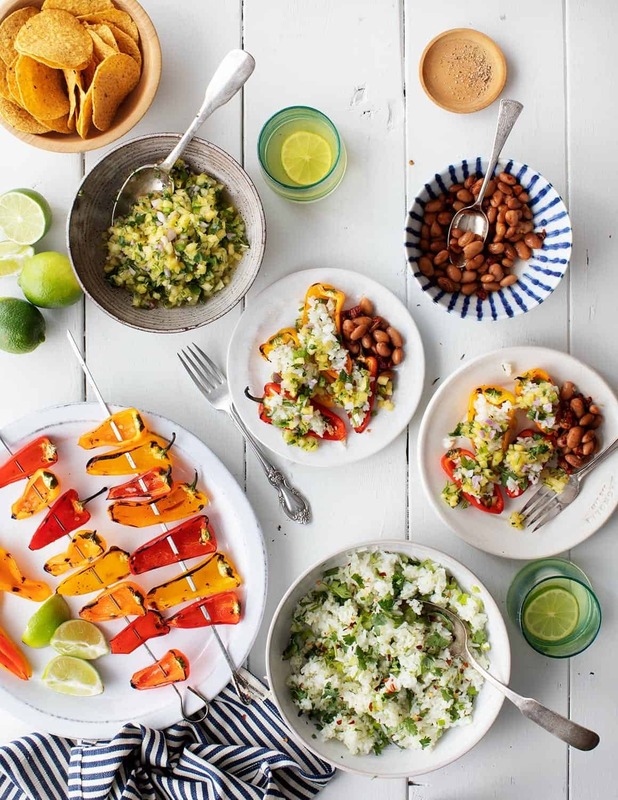 The spicy/smoky pinto beans play so well with the cool cilantro rice-stuffed peppers and the sweet pineapple salsa. Just add margaritas! 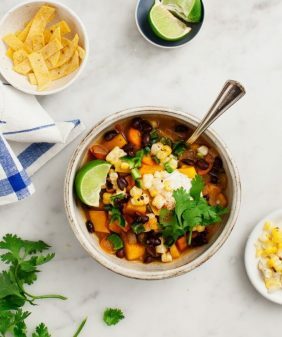 So often, putting together a menu for entertaining can get pricey, but everything here – including the beautiful, fresh organic produce – came from ALDI and was insanely affordable. Plus, I was able to pick up everything super quickly and get back to grilling. 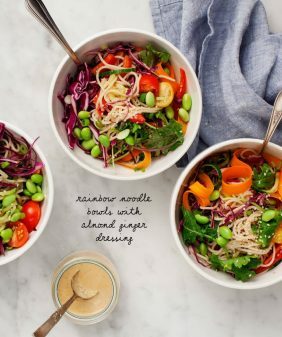 Everything here is pretty diet-restriction-friendly, so you won’t have to worry if one friend is gluten-free and the other is vegan. I’ve been continually impressed by the produce and affordable groceries at ALDI, so let me know if you give it a try and what you think! 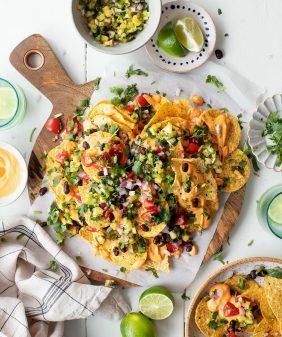 And if you need ideas for what to do with your leftover pineapple salsa, make these vegan nachos or these burrito bowls! Serve these components together as a full meal, or prepare the peppers on their own for a fun summer appetizer! 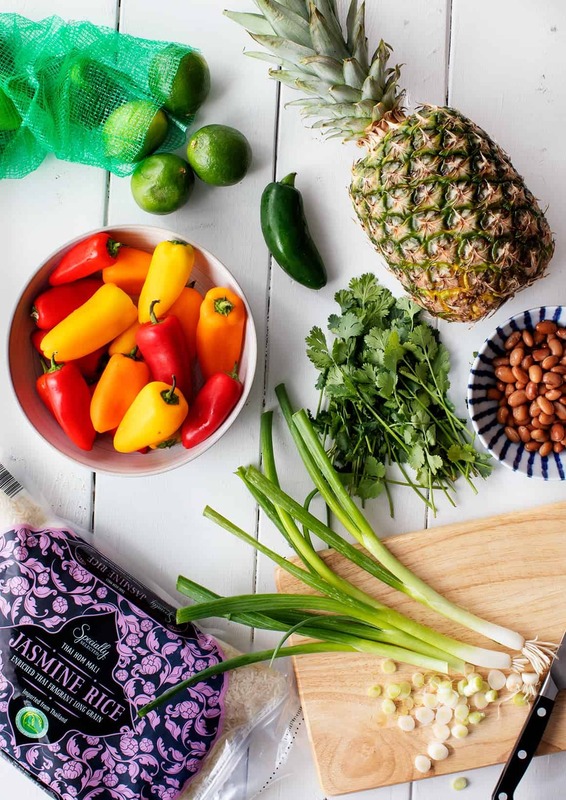 Make the pineapple salsa: In a medium bowl, combine the pineapple, red onion, jalapeño, lime juice and zest, cilantro, garlic, and sea salt. Season to taste and chill until ready to use. Make the cilantro lime rice: Cook the rice according to package directions. In a medium bowl, combine the olive oil, garlic, green onions, lime juice and zest, salt, and pepper to taste. Fold in 2 cups of the cooked rice and the cilantro. Season to taste and set aside. Make the beans: In a small bowl, combine the pinto beans with the chipotle peppers. Set aside. Preheat a grill to medium-high heat. Thread the peppers onto metal skewers, drizzle with olive oil, and sprinkle with pinches of salt and pepper. Grill 2 minutes per side or until charred and tender but not collapsed. Remove the peppers from the skewers and fill each pepper with rice and top with pineapple salsa. 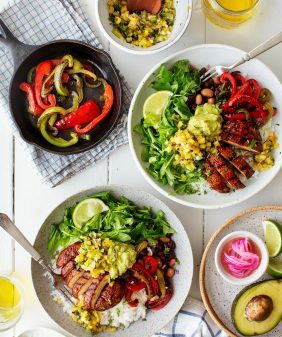 Serve with the pinto beans and extra pineapple salsa on the side. *use 1 pepper for a mild flavor, 2 peppers for spicier beans. This post was created in partnership with ALDI, thank you for supporting the sponsors that keep us cooking! I added a little queso fresco to the peppers. Nice and tasty for the summer. I just bought a big bag of mini peppers and this is the perfect way to get my salsa fix without buying a bag of tortilla chips! Delicious. Thanks for the great recipe, as always!! 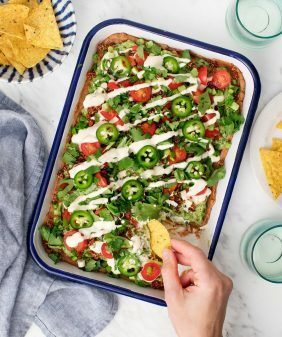 Friend doing Whole 30 – think I could use cauliflower rice? It looks delicious! I had a party this weekend and I made the salsa, sans the cilantro (cuz I’m not crazy about it). . .this was a total hit! I didn’t make the rice, but did char 3 skewers of the peppers on the grill. Delish!! !